This is a film I’ve been wanting to preserve for a long a time. The Blu-ray is horridly inaccurate (plus altered), and no home video looks the way it should. 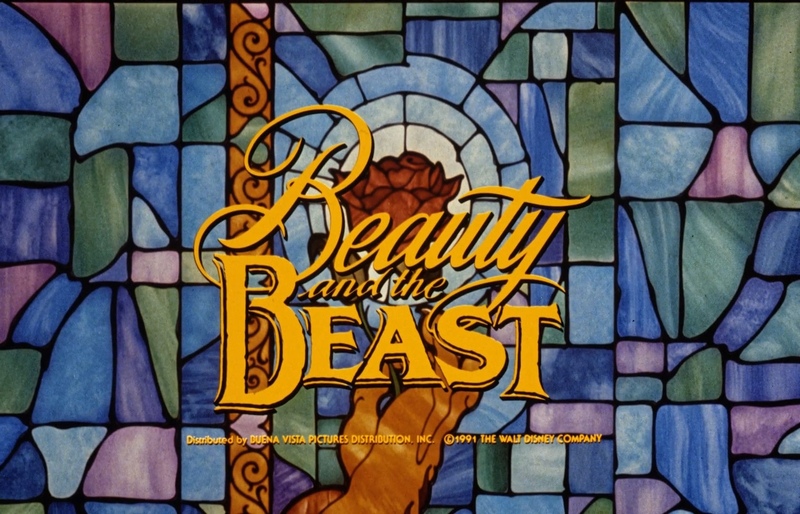 We have purchased an Italian 35mm Eastman print of BATB. It is dubbed, not subtitled. Scanning will be at 4K and compressed with Dnxhr 444 (thereby fitting on one HDD). The scans will of course be made available to the community for the cost of a HDD & shipping, and I envision we can arrange a “Grindhouse” type release. A cleaned up version might also be a possibility down the line, but it’s not planned for at this stage. I am quite sure we can get English audio sync’d to it also. We will of course look into options for getting an English print scanned in the future when possible, which would compliment this scan. I have other Disney prints I plan on arranging to be scanned once this one is done, so the sooner this one gets scanned the sooner I can tell you about the next one and arrange for it to be scanned also! A video preview of REEL 1 is now available to all donors. Want to get access but didn’t donate? You can send a donation towards ALIEN which is not yet paid for. Link valid through to Christmas New Year. This is fantastic! 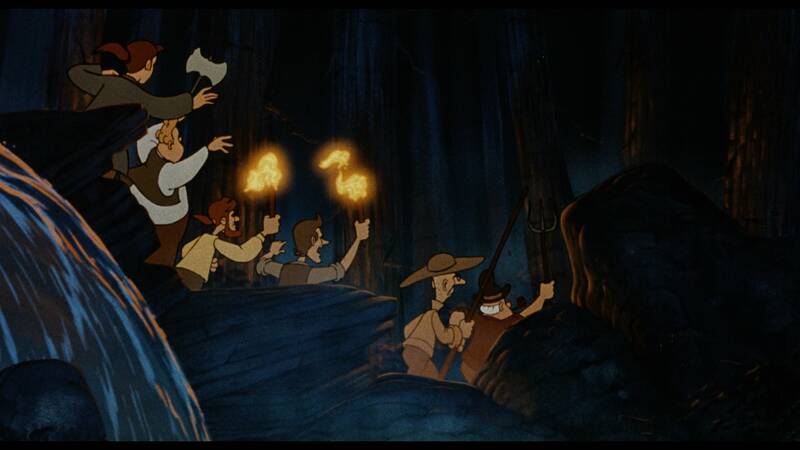 One of my favorite Disney films and in desperate need of a decent 35mm restoration/preservation as opposed to the lifeless, “saturday morning cartoon” version currently available on bluray. Not sure if I can pitch in any money at the moment, but I will certainly see what I can do. Cool, do let me know. Pledging even a small amount will help me get towards the goal. I’m not really sure when scanning will happen for this just yet, but I’m keen to get moving with it once I have at least covered about 3/4 or so of the initial costs involved (excluding the purchase of the print itself). I have $100 pledged so far from one person very passionate about the film. Total costing is not yet worked out. This is new to me, I have not been personally involved in the other 35mm preservations, though I am in touch with some people who are. So I can only go off very rough cost estimates at the moment, and I’m thinking that with postage scanning will cost around $900 (excluding the cost of hard drives which will be extra). Of course that’s being optimistic. The print is dirty it’s been stored for ages, it’ll need to be cleaned, and it has sprocket damage as you can see in photo 2 that may require more careful handing (eg running it slower through scanning or something). Lovely! Sounds like what I’m trying to pull off at the moment. Yes very similar, except we already bought the print and aren’t looking to recoup that money. 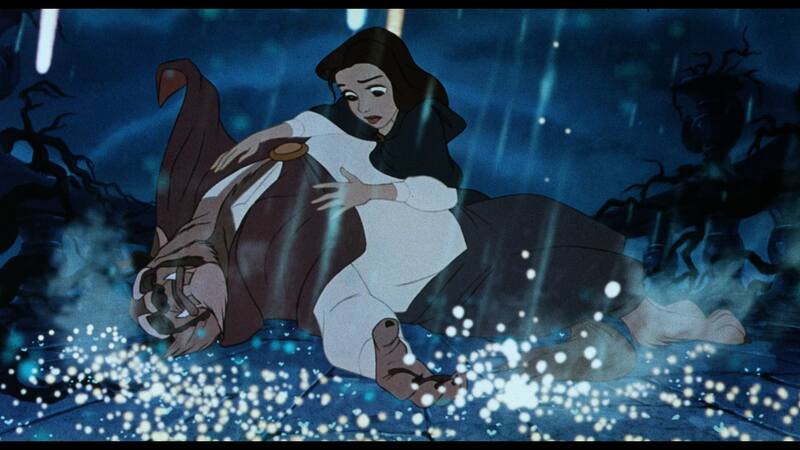 I’d personally love to see more Disney films get the attention they deserve! Out of interest, what language is this print in? Which country is the print currently residing in? It is usually cheaper to get the print scanned on the same continent that it is in. As a first step, all broken perfs and dodgy splices will need to be repaired before it could be scanned, and yes, a clean would be in order. Looking at the print, scanning with an IR damage matte would be highly recommended. It’s in Italy at the moment, I have someone there kindly holding onto it until we work out where to have it scanned, etc. I’ll PM you some large pictures. It’s a bit expensive just for a trailer. I will look into getting one scanned though. There might be someone that already has the trailer and can have it scanned. Post updated, donations can be accepted now - shoot me a message if interested! 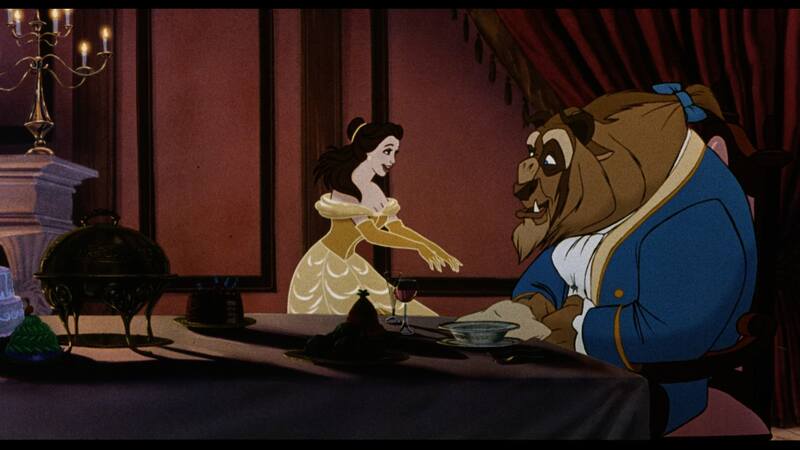 Okay, so there are a few differences between BATB on 35mm and home video. They are quite substantial. 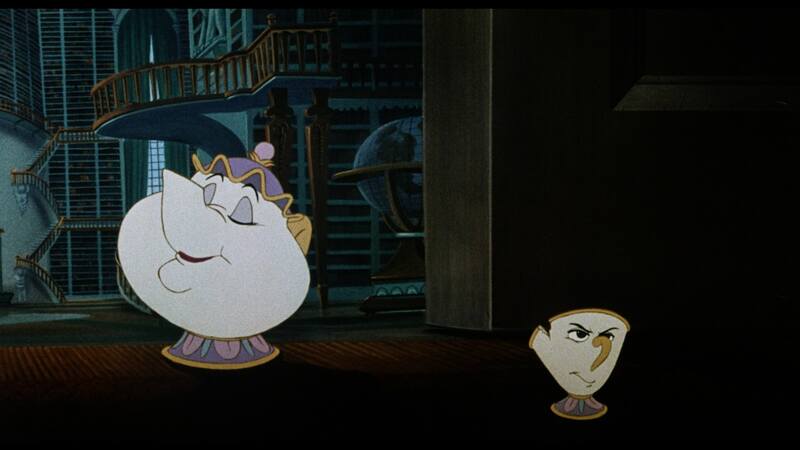 For comparison I like to mention Aladdin. Aladdin has bright vibrant colours, and dark blue nights. The bluray looks about 80-90% accurate in terms of colour and overall look of the film, and there are a few subtle differences in the pallet in some areas, and there is some animation that was tweaked for the IMAX version (though these are more subtle than the animation changes done to Lion King). 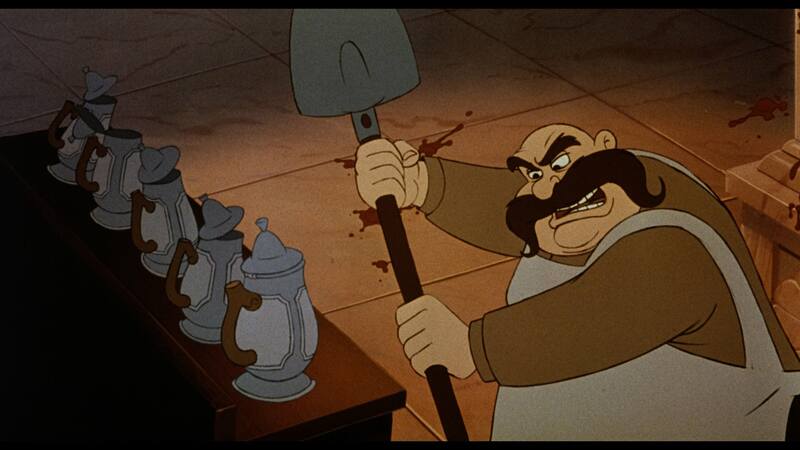 BATB looks very different on film to any home video release. It’s a lot darker than the VHS/Laserdisc. 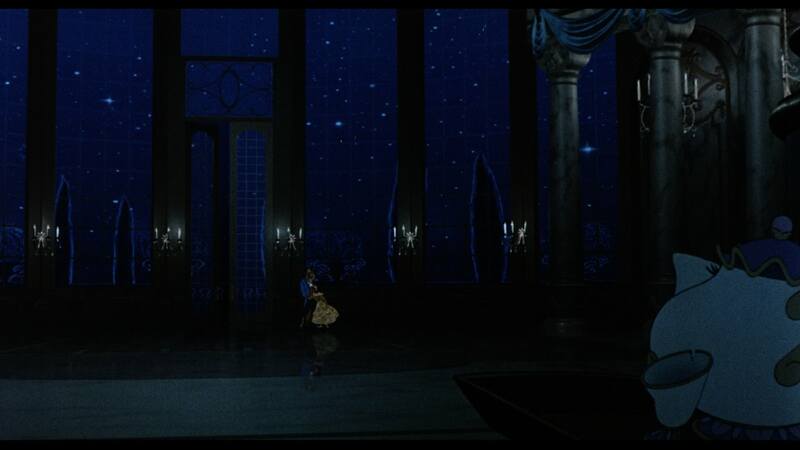 I’m told this is because in those days it was difficult to keep dark scenes without loosing the picture entirely, and detail decreased hugely the darker the scene. But the colours and such are at least mostly accurate (although there might be animation changes, that won’t be something I can confirm until we can see them side-by-side). So the VHS is maybe 70% accurate or so. The DVD and Bluray look completely wrong. That is to say maybe 10-20% accurate (accuracy is probably limited to the darker blue night scenes that have little colour). The DVD/Bluray have brand new colour pallets, pulling the CAPS files directly and making whatever changes to the colour that they wanted as they went along. It’s not yet clear if this was a regrade or recolouring, and I’d love to be able to apply DrDre’s color tool to it to find out. Although I believe it was recoloured for the IMAX version and that the changes were made to the CAPS files themselves rather than simply applying a different colour grading. 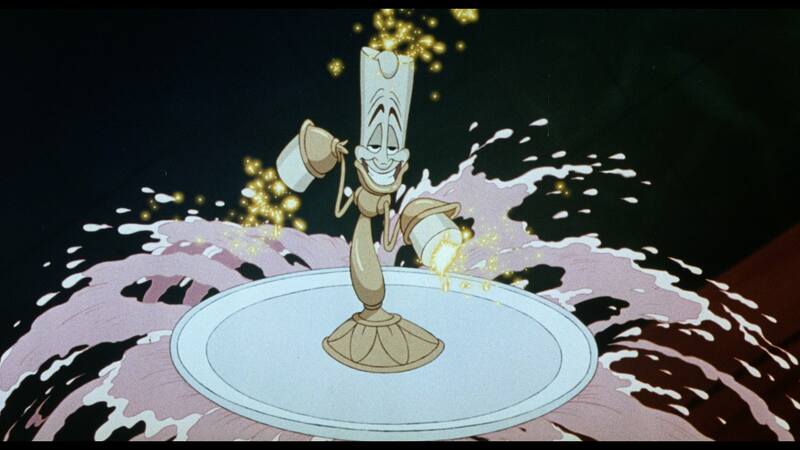 There are also substantial animation changes on DVD and Bluray that were made, again believed to be from the IMAX version. 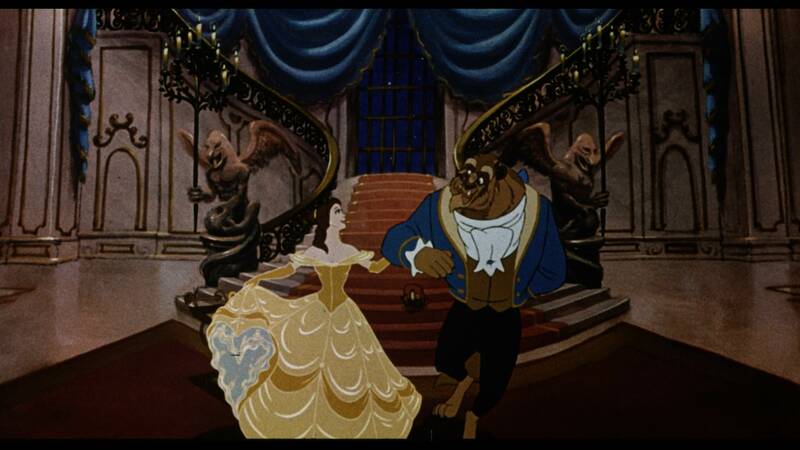 It’s been ages since I saw it in the theater as a kid, so I can’t claim any kind of reliability; but when I think back on it, my memory of Beauty and the Beast was that it was often dark and gloomy, which would go along with the beast’s angry nature and Belle’s captivity. When I watched the film again on DVD several years ago, everything seemed very bright and colorful, which did not match my memory of the movie at all. I can’t recall specifics of either very well, but it definitely felt wrong to me as a viewer: the appearance of the movie seemed rather at odds with the tone of the story. The above description of the 35mm film print being more dimly lit suggests that my admittedly vague recollections were on the right track. I’d be very interested to see what it is really supposed to look like. I saw it on film in 2014. The night scenes are dark, but the day scenes are bright. 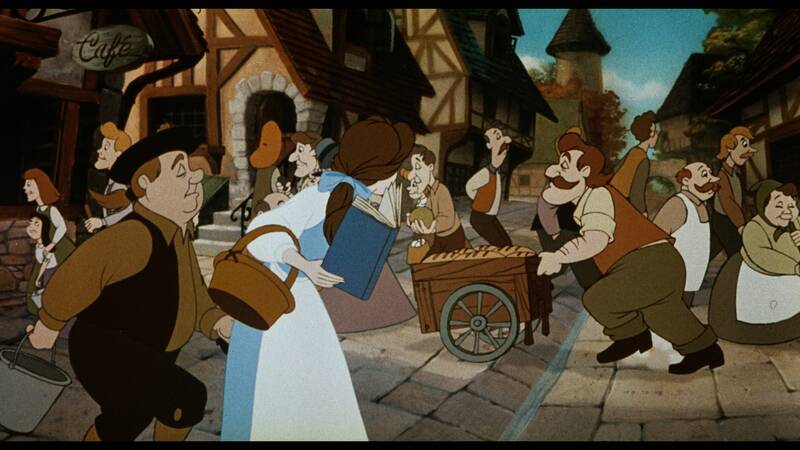 When Belle borrows the book IIRC it’s quite dark inside the bookstore (darker than the bluray). Being that this movie is older than me and I never saw it in theaters though, I obviously can’t say for sure. 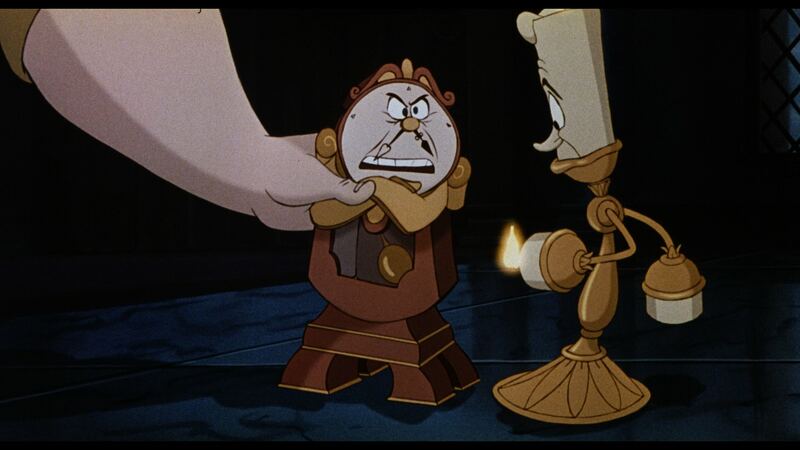 But the idea of a 35mm scan of the film still appeals to me because I really don’t like how the BD looks. It looks to me like they applied some rather aggressive edge enhancement or something to it, and the gradients look really messed up at points. Yes that’s true, I’m already more than a 10th of the way there with just two pledged donors so far, so don’t hesitate to contact me about this if you’re interested in contributing something, you can of course remain anonymous as well. It’d be great if the money was raised by the end of the year and the print can be sent to the scanner. But regardless it will be made available once completed (even if you want the 4K Dnxhr file). And then everyone can see exactly what I’ve been talking about as to how different it really is to the home video releases. So far that I can tell it’s really the most different of the Disney animations compared with the current releases available. There’s a cropped HDTV version of LATT for example (which you’ll find on rutracker) that looks pretty accurate to its film counterpart, but for BATB there’s nothing out there that looks right. 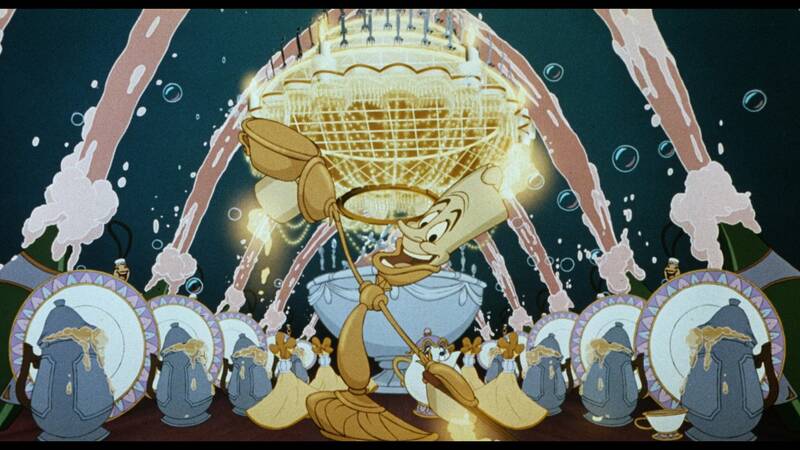 There are so many great Disney animations, and my aim is to help get them all scanned. There’s a number I’m aware of that other’s have already had scanned, and there are certainly more to do after this one! Can anyone explain why VHS copies of BTAB (and other Disney animated classics) are being listed on Ebay at insanely high prices these days? They can’t possibly be that rare! It’s because DVD and BD releases of Disney movies are often butcheries, so the VHS and LD copies have become desirable. Thanks to a friend, I’ve had several Disney movies on LD for years. Good job the 35mm was found and purchased then! I hate overpriced VHS tapes. Not that VHS and Laserdisc were faithful transfers either… but I guess better than the DVD and Bluray versions. The only high priced BATB LD on Ebay is one signed by the actress who voice Belle. Even the rarest LD’s around aren’t priced at 20k! Ebay’s not the best for VHS. You’re better off looking at thrift shops. If you’re in the US, Goodwill almost always has Disney VHSs. I’m not in the market, as I have most of the classics on Laserdisc. Just trying to figure out the insanity of people thinking they will sell an old VHS tape for the price of a new car. Even the loons jacking up prices on 16mm Star Wars prints aren’t this crazy!